With a professional career in gymnastics spanning 15 years, supplemented with a Bachelor Degree in Exercise Science at A.C.U and a participant in the sport for 10 years prior, Bec has experienced the sport at all levels. As a former national level gymnast and Advanced level judge, current Advanced Women’s and Gym For All coach and mother of 2 energetic and adventurous children, Bec has a vision to communicate gymnastics’ value to every person in the community. Movement, enjoyment, empowerment and a drive for exceptional service steer the direction of development for Peninsula Gymnastics. Bec’s focus now is to support the staff in the refinement and implementation of innovative and contemporary programs and curriculum to ensure that members experience the joy of movement and the lifelong benefits. Being involved as an athlete taught Tim very early on how important gymnastics based movement is for life. It taught valuable lessons including resilience, confidence, team work and self accountability. 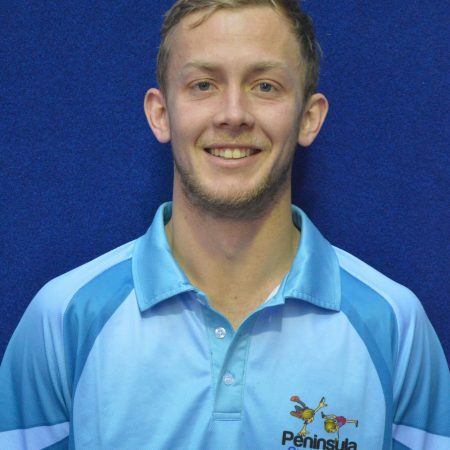 After finishing competitive training Tim has worked with in Gymnastics at many levels including Team Coach at the Victotian Men's High Performance Centre, and for Gymnastics Australia in the Coach Education and Events Team. 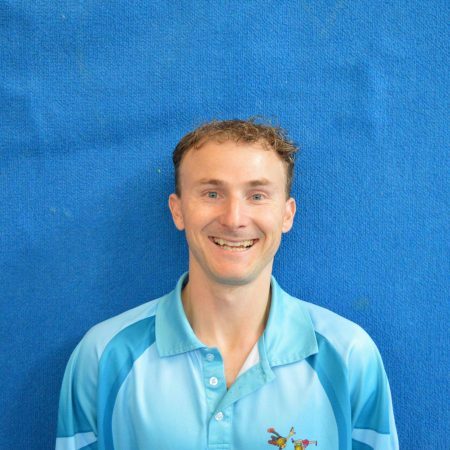 Tim is an accredited Gymnastics Australia High Performance Coach and also holds an International Level 3 Coaching accreditation. Tim regularly consults for other clubs and associations, presenting workshops and coaches courses around Victoria and Australia. You know how you always wish you had the energy of a toddler, with their ability to go, go, go and enjoy the moment?! Well, somehow Caroline still embodies this as an adult. An absolute wealth of knowledge in early childhood movement and development, Caroline will inspire with her enthusiasm, empathy and skill. 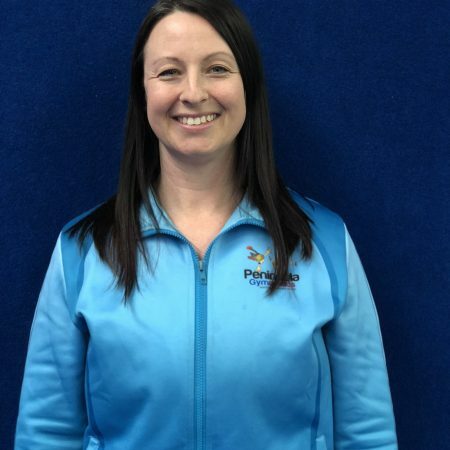 Coaching for 25+ years and Peninsula Gymnastics’ longest serving employee, Caroline has experienced it all and holds national qualifications in KinderGym, Gym For All, Aerobic Gymnastics, Womens’ Artistic Gymnastics and Mens’ Artistic Gymnastics. Her desire to improve every individual she coaches is evident, as is her passion for creating an inclusive and engaging environment. Christie is the friend and colleague we all wished we had. Loyal, thorough, driven and passionate, she has an eye for detail and manor in speaking that makes her easy to like. 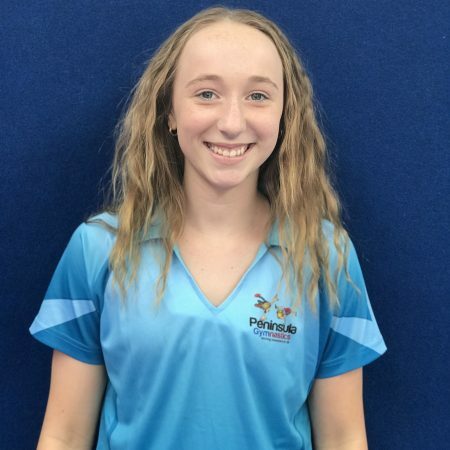 Her experience as an International Trampolinist offers a sporting knowledge hard to beat while her ability to relate to all situations offers an empathetic and understanding ear. 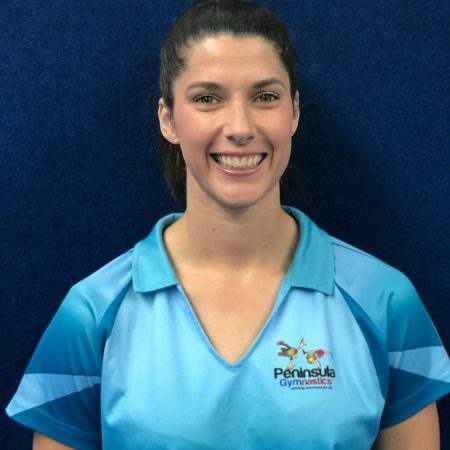 Through your conversations with Christie you will be reassured that she truly seeks to ensure that every participant is challenged, engaged, safe and ultimately enjoys every experience here at Peninsula Gymnastics. 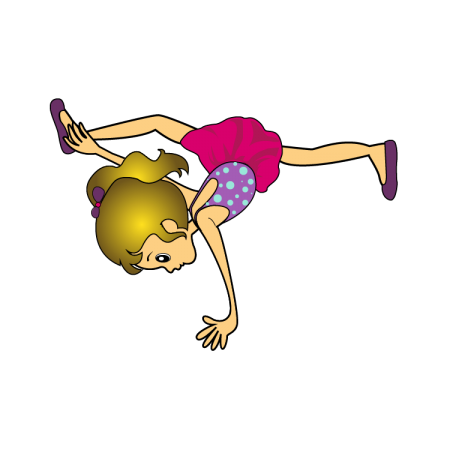 Harriet has had a lifelong involvement in gymnastics, as a high level athlete herself and then onto a professional career as a coach. 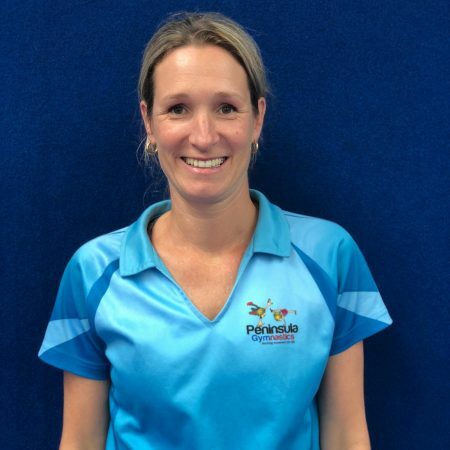 She is well travelled, having lived in three different countries and touring many more, and is experienced in coaching across all levels of the sport from foundation movement all the way through to competitive pathways. 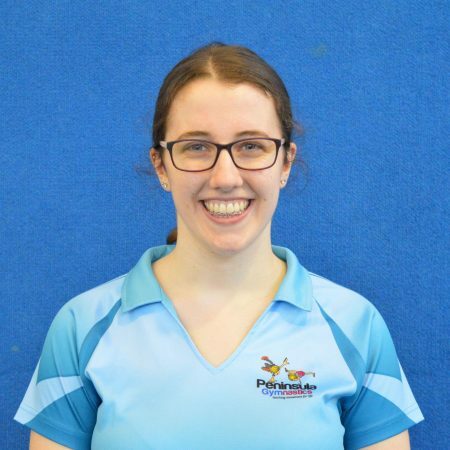 Harriet’s genuine care and enthusiasm is obvious to those lucky enough to be in one of her classes and goes hand in hand with her role as Gym For All Team Leader. She has an eye for detail and ensures that her team are well equipped to deliver exceptional programs. Holly brings with her a warmth and compassion that brings such joy to those around her. 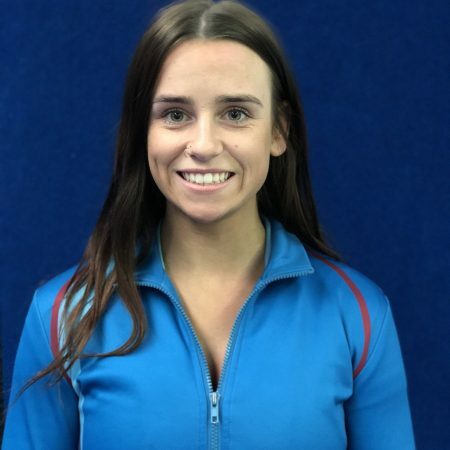 With excellent academic foundations, completing a Bachelor of Sports Science in the UK and a strong sense of equitability, Holly is highly experienced in both the delivery of classes and in the administration of sport. 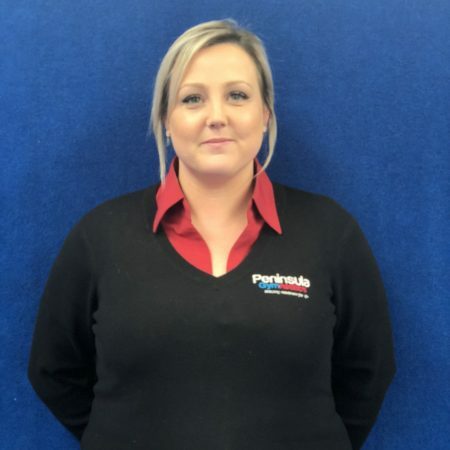 She strives to ensure that her team in Customer Service have a child first approach and that they do everything to make your experience easy and positive. 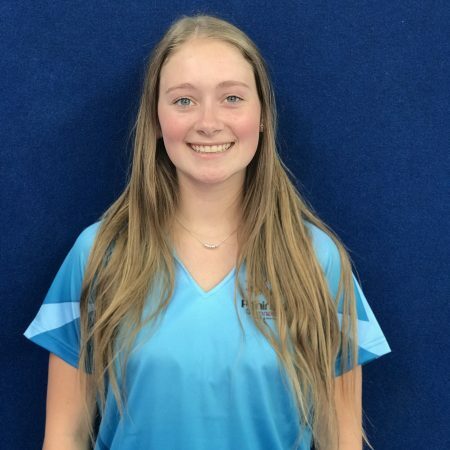 Sarah has the energy of youth combined with the experience of growing up committed to high level sport. Gymnastics from a young age has shaped Sarah into a resilient, passionate, driven and responsible young adult and an excellent role model for children and young teens. 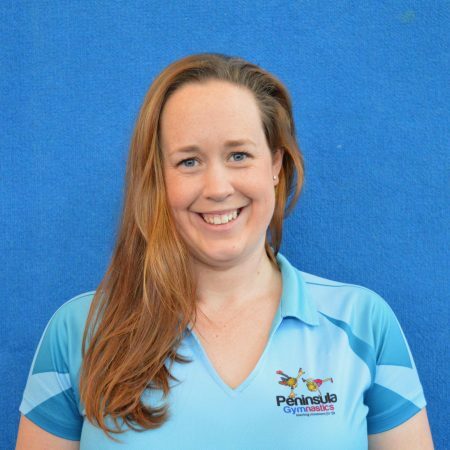 She is generous with her heart, dedicating time to philanthropic events beyond her full time employment here at Peninsula Gymnastics. A positive influence and bubble of energy, Sarah’s team can’t help but to ride the wave of passion with her. Committed to lifelong learning and asking “Why?” (yes that’s a good thing! ), Sarah wears her heart on her sleeve and dedicates her time to ensuring that all participants are challenged and nurtured. Lisa is all about family. 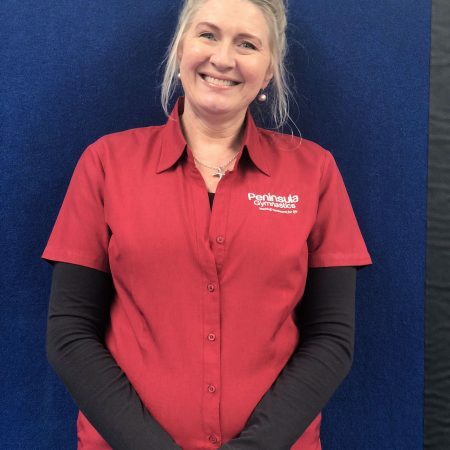 Mum of three talented daughters, small business operator with her husband and the Financial Team Leader here at Peninsula Gymnastics, she empathises greatly with the demands on modern families. 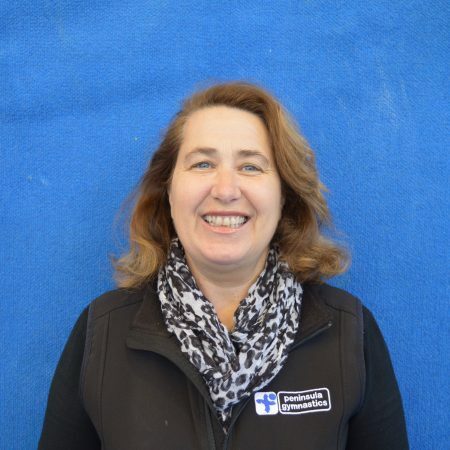 One of our longest serving employees, she has been key to the growth of Peninsula Gymnastics. Deeply passionate about the movement experiences and health outcomes offered for your children in classes at Peninsula Gymnastics, she sits in an often thankless role behind the computer but a role that is no less important, to ensuring we are able to continue to offer contemporary classes. Leah is one of the friendly faces at our Customer Service Desk! 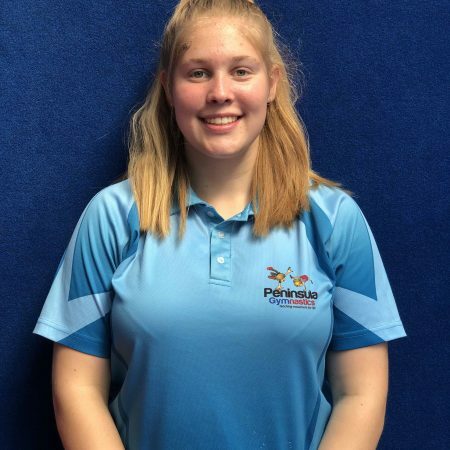 Leah is a lover of sport and you’ll often find her at a netball or footy game! Having run her own daycare, Leah has great experience in caring for children and is always happy to help (especially when it’s BabyGym time)! 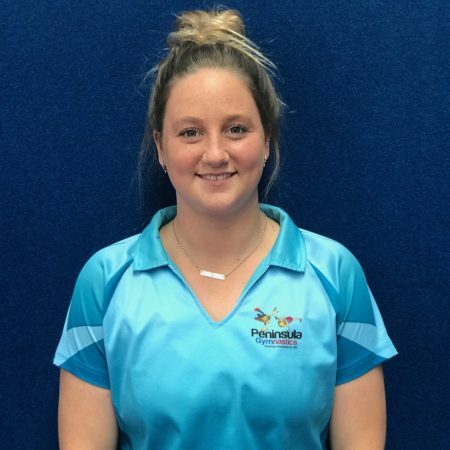 Leah has also joined our KinderGym team with her passion for helping young people grow through their developmental stage. Charlie is one of our multi-talented FreeG and Trampoline coaches. With a passion for all things Ninja he spends his spare time either training for ninja competitions or having a swing out on the golf course! 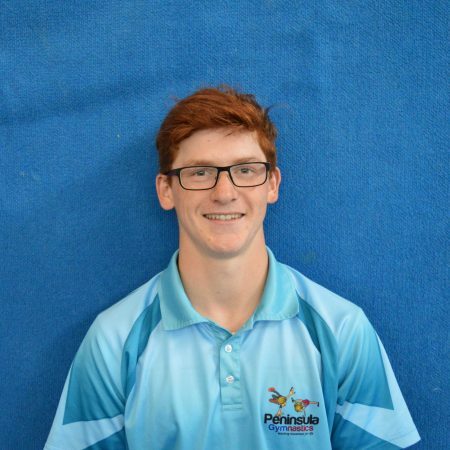 Charlie has been an athlete at Peninsula Gymnastics starting in KinderGym when he was 3 years old. You’ll find Charlie swinging around the gym in his spare time. Liesel is one of our newer staff on the Coaching Team, but has been a gymnast here for over 6 years (and still trains in our Senior program)! Liesel’s hobbies include Scouts, and her energy and enthusiasm is infectious! 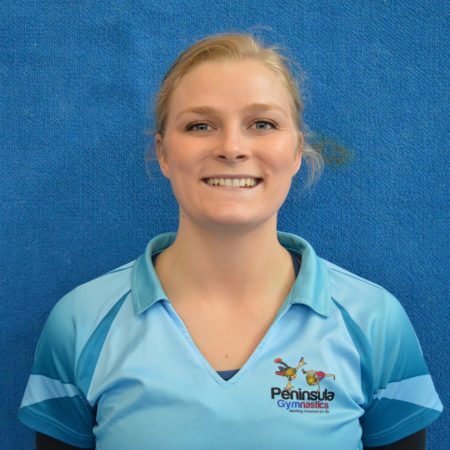 Sophie has been a coach at Peninsula Gymnastics since 2015 and been an athlete for 10+ years being involved in Competitive Gymnastics. 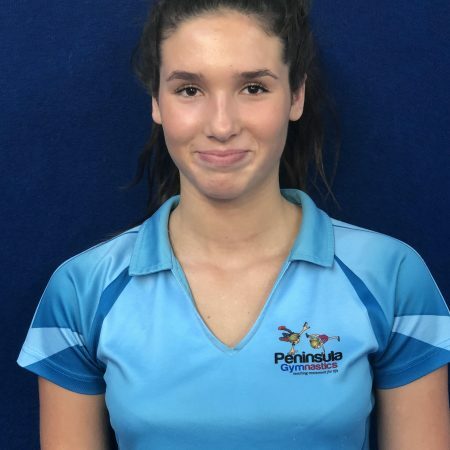 Sophie has shown a passion for teaching as a teenager and is currently studying her Bachelor of Education, implementing some of these skills into her coaching. Sophie also has a passion for dancing and is very creative when it come to choreographing floor routines! 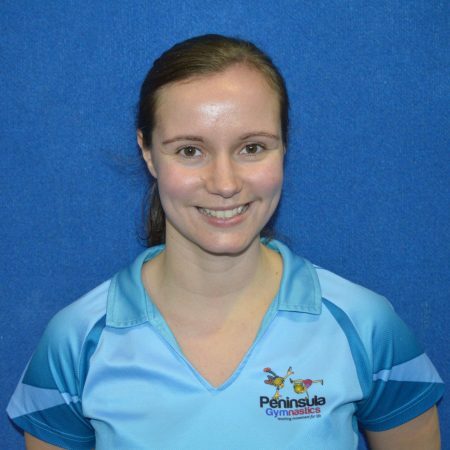 You can find Sophie coaching in Gym For All, Gymstar Challenge, TeenFit and TeamGym during the week. Joining us in Customer Service in 2018, Linda is a wonderful addition to the Team! Linda has a love of horses and is a volunteer at Riding for the Disabled. Linda loves seeing the kids in action in the gym and appreciates how important movement is for overall childhood development. 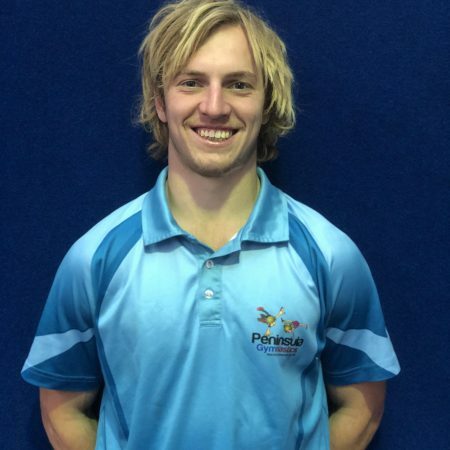 Tradie by day Ninja by night; Troy has been the longest training athlete at Peninsula Gymnastics and has had a heavy involvement since 2002 when he started Gymnastics! Troy is driven by working with young and teen boys from his attitude towards positive education and passion for movement, specialising in Parkour and Ninja activities. You’ll find Troy coaching Gym For All Gymstar Challenge and Xtreme Teens during the week.